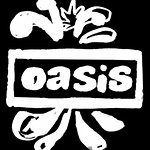 Last week, rock and roll superstars Oasis donated their guitar for a charity auction to benefit Street Child Africa, an organization which befriends children living on city streets across the continent and gives them guidance and support to change their way of life. All five band members, including guitarist Noel Gallagher and singer Liam Gallagher, signed the Martin six-string guitar for the charity before their recent gigs at Glasgow’s SECC. The band agreed to put their signatures on the guitar after receiving a request from Glasgow-based guitar distributors Westside, run by Bothwell man Philp Hay. The final bid for the highly sought after guitar was $4,000, and helped bring the total raised from this years event to approximately $40,000.